Rice Crispy / Rice Cereal are a breakfast cereal made from Rice flour, Sugar, Salt, Malt, Calcium, etc., it is also known as Rice Flakes in some regions. Rice Krispies are made of rice grains that are cooked, dried and toasted and expand forming very thin and hollow walls that are crunchy and crispy. 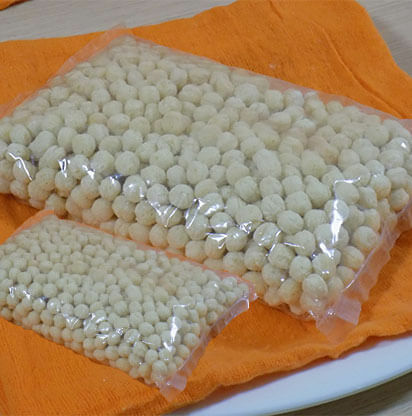 It is used as raw material in Confectionery Industry, Chocolate industry, to add crispiness to end product. It is also used in Making Nutrition Bars, Cereal Bars. 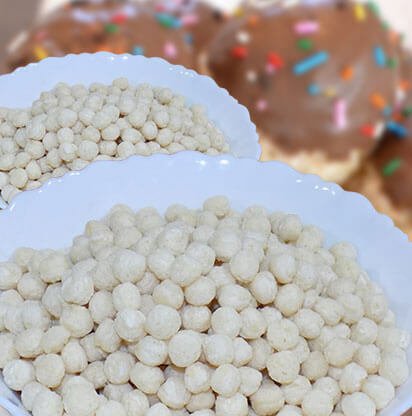 Rice Flakes are another types of Rice crispy, that are long oval / oval in shape, while Standard Krispies are in round balls shape. 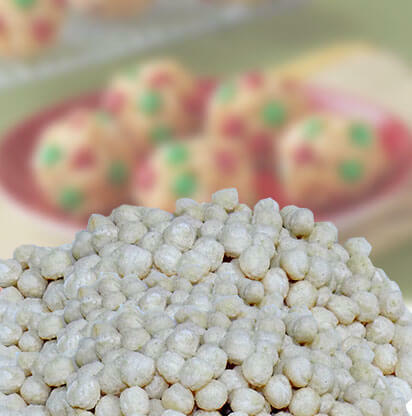 We have developed variety of Krispies with different shapes and flavors like Plain Crispy, Malt Crispy, Chocos Crispy, etc. and have been supplying in Indian Market and Exporting to other countries as well. 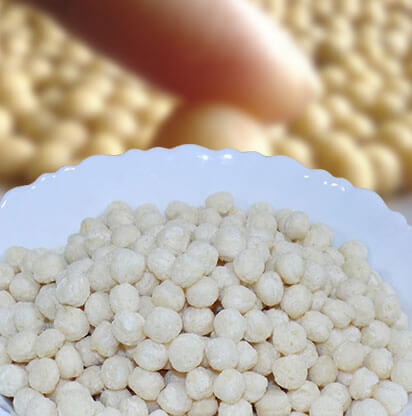 Used by confectioners for coating with chocolate to make chocolate balls, like malt teasers, etc.